"The Supreme Personality of Godhead is actually the supreme spiritual master. The Supreme Lord knows everything about the suffering of the conditioned soul, and therefore He appears in this material world, sometimes personally, sometimes by an incarnation and sometimes by authorizing a living being to act on His behalf. In all cases, however, He is the original spiritual master who enlightens the conditioned souls who are suffering in the material world. The Lord is always busy helping the conditioned souls in many ways. Therefore He is addressed here as paramo gurur bhavān. The representative of the Supreme Personality of Godhead who acts to spread Kṛṣṇa consciousness is also guided by the Supreme Lord to act properly in executing the Lord’s order. Such a person may appear to be an ordinary human being, but because he acts on behalf of the Supreme Personality of Godhead, the supreme spiritual master, he is not to be neglected as ordinary. It is therefore said, ācāryaṁ māṁ vijānīyāt: an ācārya who acts on behalf of the Supreme Personality of Godhead should be understood to be as good as the Supreme Lord Himself. 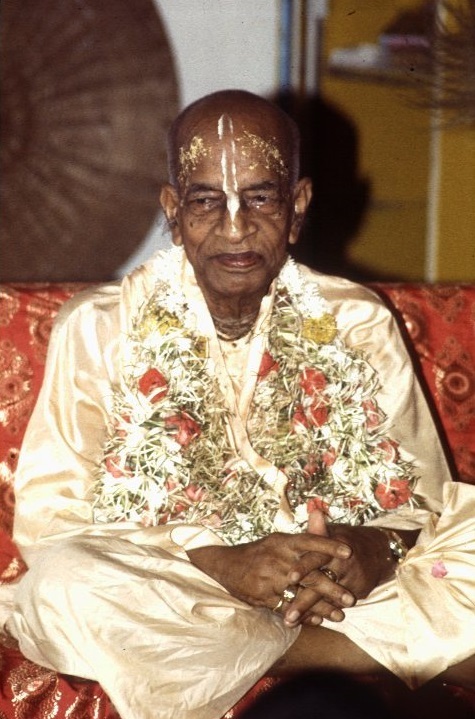 Viśvanātha Cakravartī Ṭhākura has advised that the spiritual master acting on the Supreme Lord’s behalf must be worshiped as being as good as the Supreme Lord, for he is the Lord’s most confidential servant in broadcasting the Lord’s message for the benefit of the conditioned souls involved in the material world."